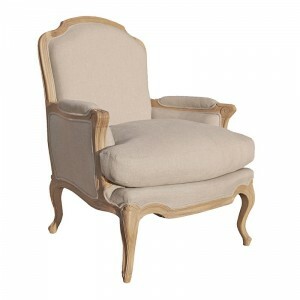 The linen sofa chair is a wonderful addition to any room. 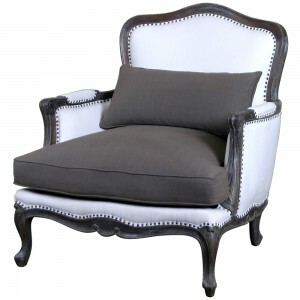 Painted in antique white with a light distressing and upholstered in a grey linen fabric, this sumptuous chair is ideal for a range of living areas. Inspired by classical French furniture, this piece is carved from mahogany wood with ornate style details for a sophisticated charm.